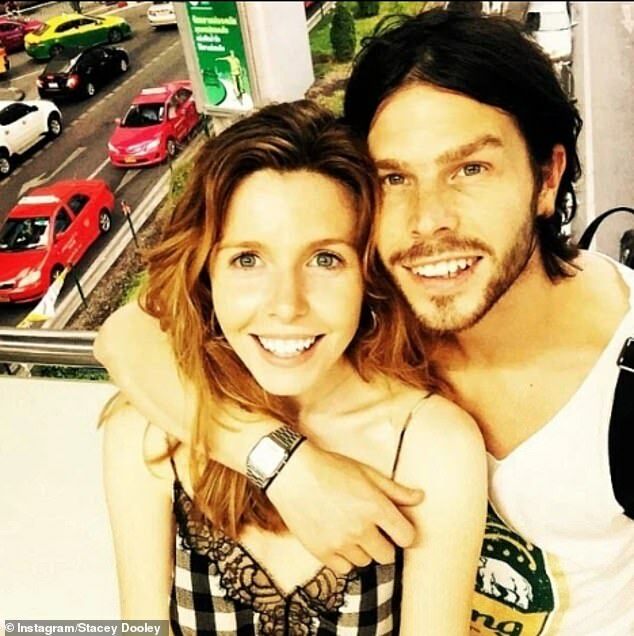 Stacey Dooley has insisted there’s ‘two sides to every story’ when it comes to her headline-grabbing romance with Strictly partner Kevin Clifton. 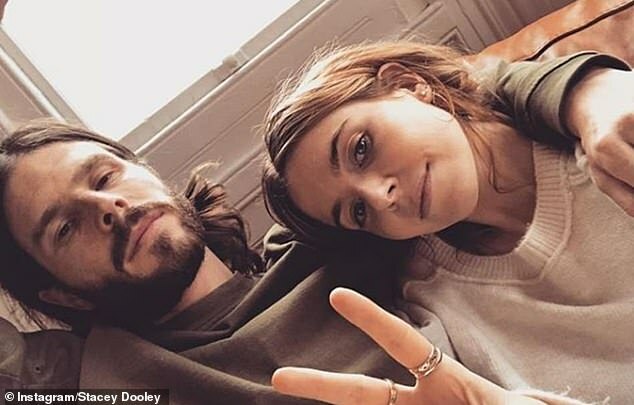 But fresh claims suggest the BBC documentary maker broke up with boyfriend of five years, personal trainer Sam Tucknott, 30, for the professional dancer in order to ‘better her career’. 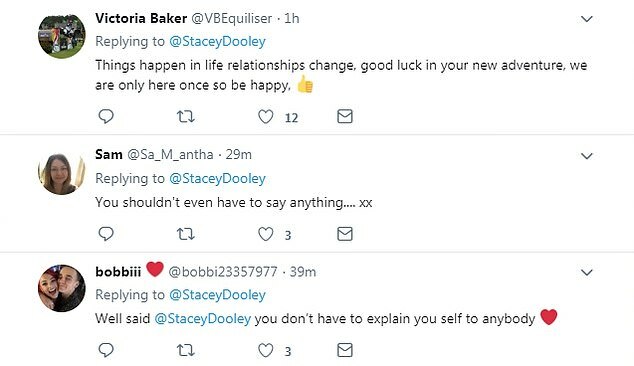 It’s also been rumoured that Stacey, 32, and Kevin, 36, have been enjoying a secret romance for months, with photos emerging of the pair heading into the same Birmingham hotel in January. Kevin, whose relationship with Stacey was said to be an ‘open secret’ during the tour, was seen later that night heading into a five star hotel in the city, while Stacey, and the rest of the tour cast, followed close behind. 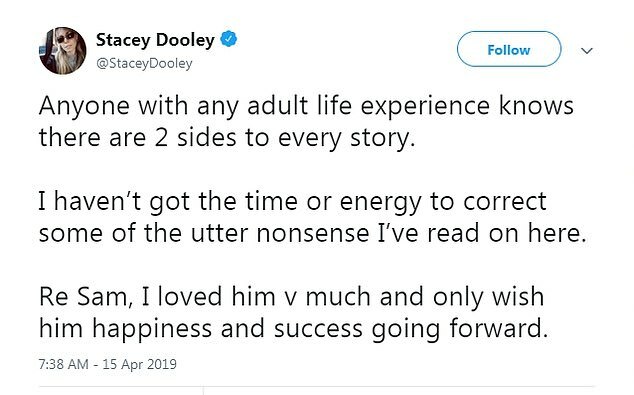 Insiders have claimed that Stacey, known for her hard-hitting BBC Three documentaries, ‘dumped’ Sam for Kevin as he was ‘better for her image’. 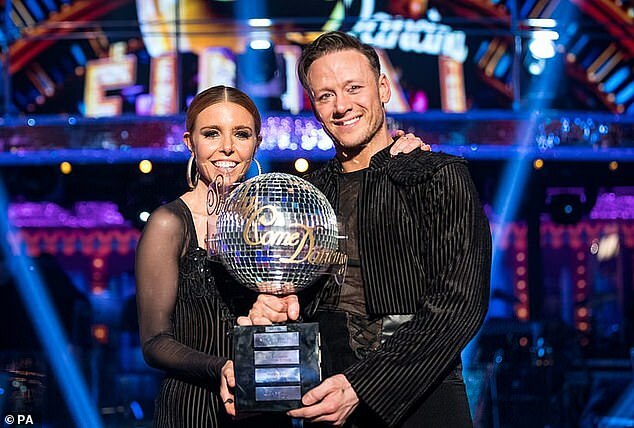 While Sam supported Stacey during both the Strictly live shows, memorably leaping from his seat at her win with Kevin, and the tour, behind the scenes insiders were worried how he was affecting Stacey’s image. 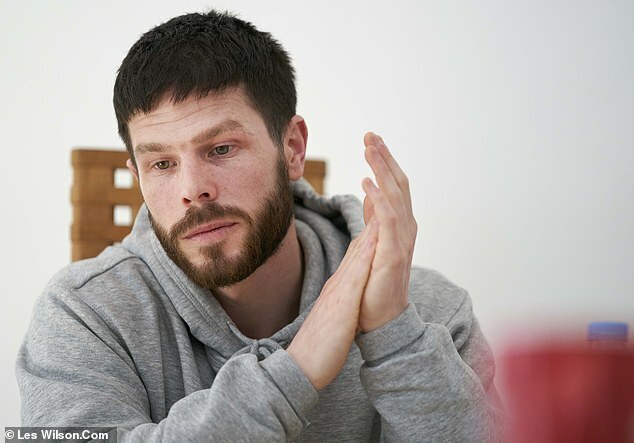 A source added to The Sun: ‘Sam turned up to the studios in a tracksuit a couple of times and there were raised eyebrows. The TV presenter, 32, wrote: ‘Anyone with any adult life experience knows there are 2 sides to every story. I haven’t got the time or energy to correct some of the utter nonsense I’ve read on here.